This entry was posted in Movie, Top Ten List, War Movie and tagged List, Movies, The Guardian, Top 10, Top Ten, War Movies. I’m amazed The Battle of Algiers isn’t on their list. Ah – true enough. It would have made perfect sense. It is among my favourites. It’s rather a good list, they tried to include movies from different countries, that’s why I guess they didn’t want to include two Italian films. That is an extremely weird list. I would sure like to know the criteria. You could not have found a more diverse list. No two of those movies could be linked in any logical way. I have seen all but “Le Grande Illusion” (I am almost to it on my list) and can say that several do not belong in the Top Ten, in my opinion. However, I can see strong cases for all except 10, 6, and 3. I personally love 10 and 6, but I cannot argue for them being in the Top 10. As far as #3 – every list has to have at least one movie that is laughably out of place. I think the problem with these list is that they are made by cinephiles not taking into consideraten the genre per se. They think about all the great movies and the pick ten war related ones. When we think “war movie” we think – at least I do – usually of more combat driven movies. That’s why most of the ten here wouldn’t be on my list. But it’s a good list for a cinema loving general public, if you know what I mean (of course you do). I hated ‘Three Kings’ and some of the others I’ve never heard of. 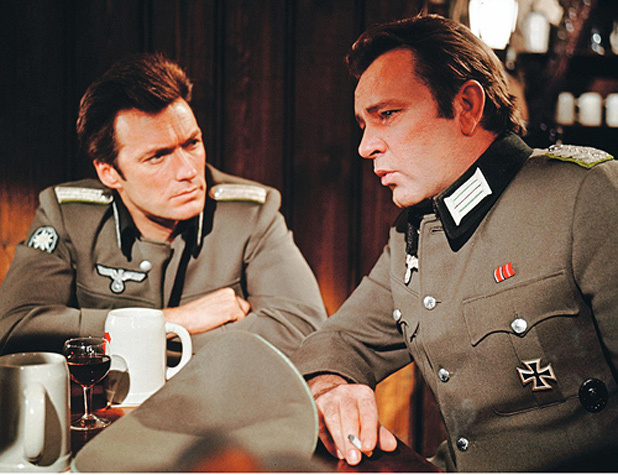 For me ‘Where Eagles Dare’ is the ultimate escapist war movie and would be my tops. Others would I’d choose would include ‘Kelly’s Heroes’. ‘A Bridge Too Far’. ‘Casualties Of War’. ‘Stalingrad’ (the German version from 1993), ‘Enemy At The Gates’, ‘The Great Escape’ and ‘The Train’. I loved Three Kings because it’s so different, liked the technique they used but I can see why that would be something that annoys someone else. I like most of those you mention but I haven’t seen all of them. Stalingrad makes my Top 10. You know we don’t agree on some. Enough said. In fairness, though the list itself is irrelevant, at least each film has a decent review. I saw the reviews that’s why I linked to the post. People can go and check it out. As “unsubstantial” as they may be, this one especially, lists serve purposes. They trigger discussions, reactions and they entertain. Sometimes that’s all we want. I think the list was made exactly like you say. That’s why Battle of Algiers could not be on it. There was already Rome, Open City. Full Metal Jacket is superior to Paths of Glory, I’d say. But hey there was already The Deer Hunter and Apocalypse Now . . .
Sure, it’s good for ‘community animation’ and page views. When I say it is unsubstantiated, I mean there is no global vision, no unifying line that could make the list meaningful. So we’re left discussing the merits of each individual work without any reference grid we could match them against. Off-topic and on the resolutely austere side of the editorial spectrum, I’d like to mention a study I just read: Filming, faking and propaganda: The origins of the war film, 1897-1902 by Stephen Bottomore (University of Utrecht, 2007). I found quite fascinating to read that from the very birth of cinema most issues were the same as those we so often discuss more than a hundred years later about fictional war movies. Looks interesting, thanks. I still have a few books on war movies I haven’t read yet. But at a later date I’d certainyl give it a look. We can only speculate what made the list, I agree. I wouldn’t post lists if I wasnt’t fond of them. I always look at lists. I like lists, even when I disagree with the choices, because they make people argue and think. As you said, it is a list by cinephiles, not genuine fans of the genre, so it is not the best list from our perspective. I have not seen Rome, Open City, Come and See and La Grande Illusion but Where Eagles Dare and The Thin Red Line are both strong contenders for my worst war movies list. My point exactly. I always like to compare my own choices. We seem to diagree on The Thin Red Line which is one of my very favourites. Interesting how this movie divides so much. I haven’t seen Come and See yet because I know it’s hard to watch but I highly recommend La Grande Illusion. It’s a companion movie to Paths of Glory. A great list really, i can choose a one from this list every weekend to watch for few months …….. I love watching war movies. Thanks for sharing. Please trying using https://imgcave.com for your images. Thanks!